With just 50 days to go until the athletics gets under way at the Rio 2016 Olympic Games, this month will see many countries hold their national championships as they finalise their teams for the biggest sporting event in the world. Competition will naturally be intense, but some battles will be more hotly contested than others. 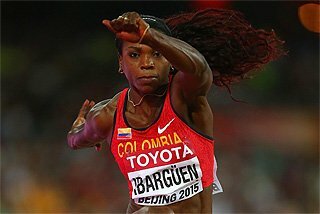 And while athletics superpowers such as the USA will have numerous qualifiers in almost every event battling for just three places, other smaller nations have surprising depth in some events. Here’s a look at some of the most difficult national teams to make for this year’s Olympics. 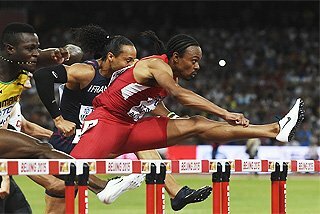 During the qualifying period, which began on 1 May 2015 and will end on 11 July 2016, the USA has had three women run 12.35 or faster in the 100m hurdles. And that tally doesn’t include the likes of 2008 Olympic champion Dawn Harper Nelson, two-time world indoor champion Nia Ali and 2013 world champion Brianna Rollins. There are 37 US women in possession of the 13.00 qualifying standard; 31 of those will be in action at the up-coming US Olympic Trials. 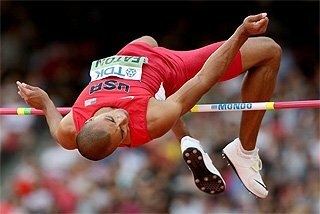 Only seven South African men in history have ever jumped beyond 8.15m, the Olympic qualifying distance. But six of those have done so during the current qualifying period. In a time of unprecedented depth for South Africa in this event, Ruswahl Samaai is primed to take one of the spots on the team, having won the national title earlier in the year before equalling his 8.38m PB at the IAAF Diamond League meeting in Rabat. The other two spots on the team, though, are yet to be decided. In terms of qualifiers, the USA dominates in this event with 91 women having achieved the 23.20 standard. But Great Britain’s depth in this event is notable. There are 11 British women with the qualifying standard – seven of whom will be competing at this weekend’s British Championships – making it arguably their highest-quality event of all the Olympic athletics disciplines. 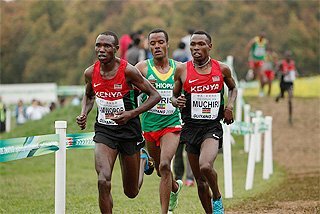 Perhaps the most difficult of all national teams to make, Kenya has already named the three men who will represent them in the marathon in Rio. 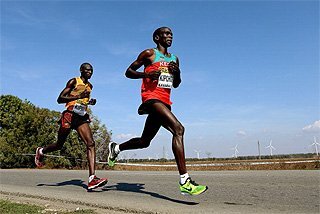 Of all the 427 Kenyan men in possession of a qualifying performance – either a 2:19 clocking or a top-10 finish at an IAAF Gold Label Road Race – the national selectors chose Eliud Kipchoge, Stanley Biwott and Wesley Korir. Perhaps the greatest indication of how tough it is to make the team is the fact that Dennis Kimetto, who broke the world record as recently as September 2014, was not selected. 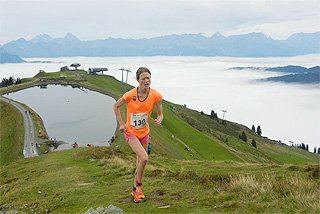 Seven other men with sub-2:06 PBs also missed out. When five German women threw beyond the 61m Olympic qualifying mark in the same competition in Wiesbaden last month, it set the tone for what was to come for the nation’s top discus throwers. Nadine Muller and Julia Fischer have exchanged victories throughout this year. After filling the top two spots in both Wiesbaden and at the recent German Championships, their places on the team for Rio look relatively safe. But six German women in total have the Olympic qualifying mark and four of those appear in the top 13 in the world this year. It’s no secret that the USA is strong in every sprint event. They may have more qualifiers in some of the other sprint disciplines, but behind national leader LaShawn Merritt, the men’s 400m is extremely evenly matched. 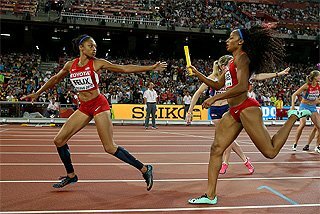 Not only will individual places be up for grabs at next month’s US Olympic Trials, so too will spots on the 4x400m team. 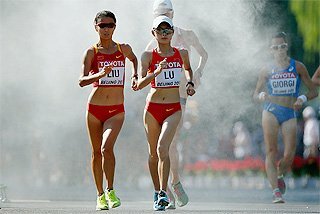 Chinese athletes finished first and second in the women’s 20km race walk at the IAAF World Championships Beijing 2015 and there are strong chances of Liu Hong and Lu Xiuzhi taking gold and silver again in Rio. For a country with a population of 1.3billion and a strong tradition in race walking, it’s no surprise that China dominates this event. 35 Chinese women have attained the 1:36 qualifying standard, and 15 did so in their Olympic trial race earlier this year. Olympic silver medallist Qieyang Shenjie clocked 1:28:16 to miss out on a top-three finish by just four seconds. As far as this event is concerned, Germany is the new Finland. 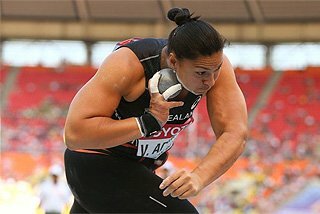 For years, Finland has boasted terrific depth in this event with several 80-metre throwers each season. But in 2016, Germany looks to have the edge. Five German men have thrown beyond 83 metres since last May. 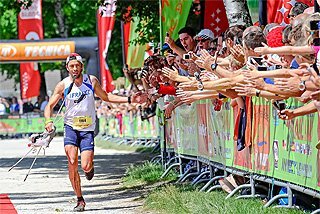 The same quintet all surpassed the 80-metre mark at last weekend’s German Championships with world leader Thomas Rohler taking victory. But the final selections for the event won’t be made until next month. 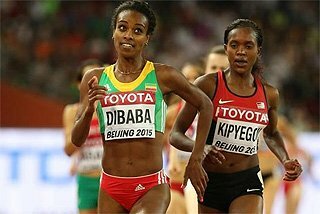 With 22 women – more than any other nation in this event – having achieved the 15:24 qualifying standard, it’s easy to see why Ethiopia swept the medals in this event at the IAAF World Championships Beijing 2015. Twelve of those women have run faster than 15:00 since last May, including, of course, world champion Almaz Ayana. Already this year, six Jamaican men have recorded sub-10-second marks in the 100m. A further 11 Jamaicans have attained the 10.16 qualifying mark since last May. The USA, with 44, may have more qualifiers in this event, but for a nation of just 2.7million, Jamaica continues to punch above its weight. 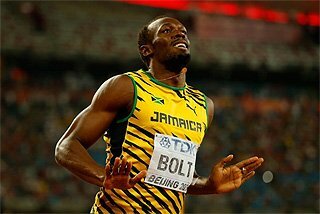 And while world and Olympic champion Usain Bolt is favoured to do the sprint double at next month’s Jamaican Championships, it’s worth remembering that he was beaten in both events at the 2012 edition, five weeks before winning double Olympic gold in London.